Tea at Five Event homeBuy ticketsCustomer reviews HamiltonThe PromNetworkTo Kill a MockingbirdKiss Me KateHadestownOklahoma! 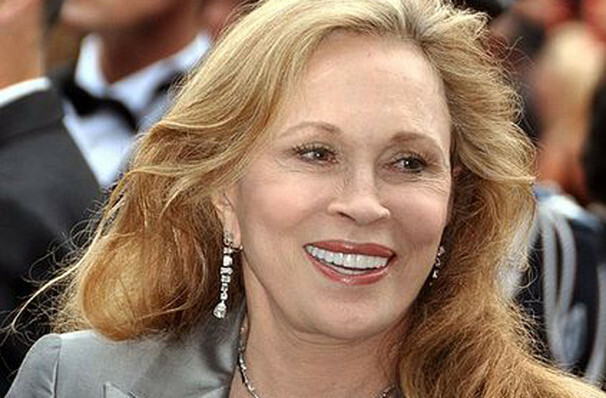 An icon plays an icon - Faye Dunaway returns to Broadway! 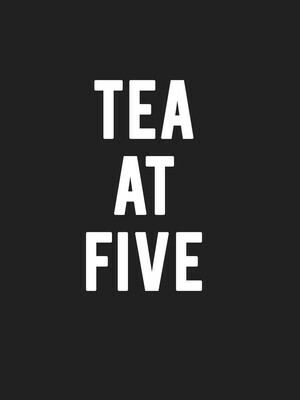 Why See Tea at Five? 2019 will see the inimitable Faye Dunaway return to the Broadway stage, following an absence of three and half decades to turn her talents to Matthew Lombardo's Tea at Five; a one-woman play based on the life of fellow legend of stage and screen, Katherine Hepburn. With direction from John Tillinger, Dunaway will play Hepburn in a retooled version from Lombardo himself, marking the play's Great White Way debut after first appearing in 2002 with Kate Mulgrew. No stranger to the stage, Oscar, Emmy, Golden Globe winner Dunaway last trod the hallowed Broadway boards in 1982's The Curse of an Aching Heart before going on to win a Sarah Siddons prize for her 1996 portrayal of Maria Callas. Outside of her stage work, (beginning with a fierce performance in 1964's After the Fall) she is well known for her work on the silver screen, including star-making roles in Bonnie and Clyde, Mommie Dearest and Network. A true icon, who'll be playing a true icon - we can't wait! An intimate portrait of one of the greatest actresses of her generation, Tea at Five is adapted from Katherine Hepburn's own memoir and sees her at two defining moments of her life. One, when she has first tasted success and another where personal tragedy forces her to reaffirm her experiences, career, and relationship with Spencer Tracy. From comedy to drama and everywhere in between, Hepburn - named the greatest female star of Classic Hollywood Cinema, captivated audiences in every sense of the world. Her spirited character and independence transported her from movie star to iconoclast who continues to inspire generations of young actresses today. Seen Tea at Five? Loved it? Hated it? Sound good to you? Share this page on social media and let your friends know about Tea at Five at Venue To Be Announced. Please note: The term Venue To Be Announced and/or Tea at Five as well as all associated graphics, logos, and/or other trademarks, tradenames or copyrights are the property of the Venue To Be Announced and/or Tea at Five and are used herein for factual descriptive purposes only. We are in no way associated with or authorized by the Venue To Be Announced and/or Tea at Five and neither that entity nor any of its affiliates have licensed or endorsed us to sell tickets, goods and or services in conjunction with their events.